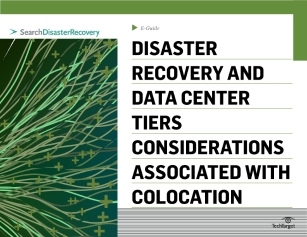 If you are unable to set up a secondary data center for disaster recovery (DR) and you are unwilling to hand over the reins to a DR service, than colocation might be for you. Why do organizations turn to colocation over in-house DR? What are the key considerations for choosing a colocation provider? What are the benefits of choosing colocation? Read on to also discover what you should know about data center tiers.